A shocking survey has revealed the young people of Britain are misconstrued about the origin of what they eat and what counts towards their five-a-day. 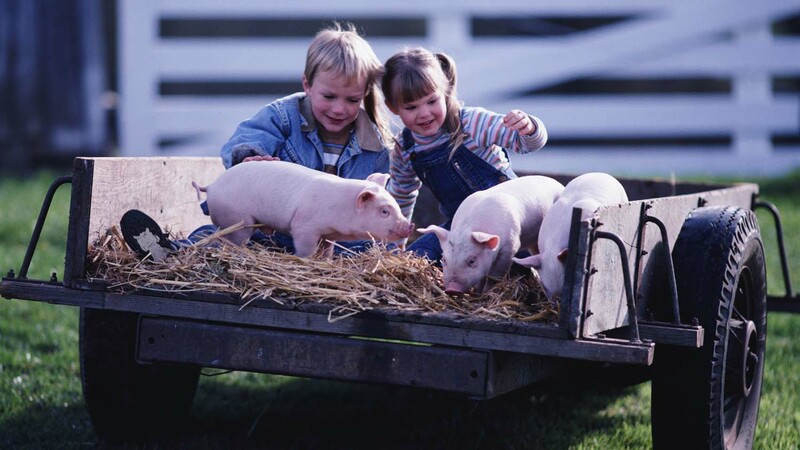 One sixth of 5-7 year-olds thought bacon was the produce of cows, sheep or chickens. The British Nutrition Foundation (BNF) targeted the online survey to more than 5,000 children aged 5-16 in the run up to its Healthy Eating Week, June 12-16. It found more than one in 10 of 8-11 year-olds thought pasta came from an animal, and 18 per cent of 5-7 year-olds said fish fingers were made out of chicken. The survey also highlighted how six per cent of 14-16 year-olds thought dairy cows produced eggs, with one sixth of 5-7 year-olds suggesting bacon was the produce of cows, sheep or chickens. Roy Ballam, managing director and head of education at the BNF, said teachers should be equipped with ‘accurate information’ to cascade to their students. He said: “We cannot control what children access on the Internet and elsewhere but we can ensure that teachers are equipped with accurate information. Mr Ballam said it had never been a more important time for schools and teachers to be ‘armed with the correct information’ to help children and young adults ‘decipher between fact and fake news’. Whilst the majority of children understood they should be aiming to eat at least five-a-day, many were left confused about what should be included in their five. “Schools and families can and should successfully run together to, in turn, educate children and then motivate them in their endeavours to make healthier choices,” he added.